The lead-up to Hell on Earth! Following the Bureau?s catastrophic encounter with the monster-god Katha-Hem, Kate heads to France with hopes of bringing Roger back to life, and Captain Daimio reveals the truth about his death in the jungles of Bolivia. Abe meets a secret society of Victorian cyborgs with ties to his origins as the frog apocalypse heats up, and Liz?s visions of the end of the world grow increasingly dire! 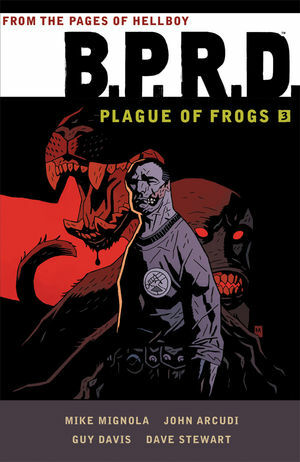 Collects B.P.R.D. : The Universal Machine, B.P.R.D. : Garden of Souls,and B.P.R.D. : Killing Ground.